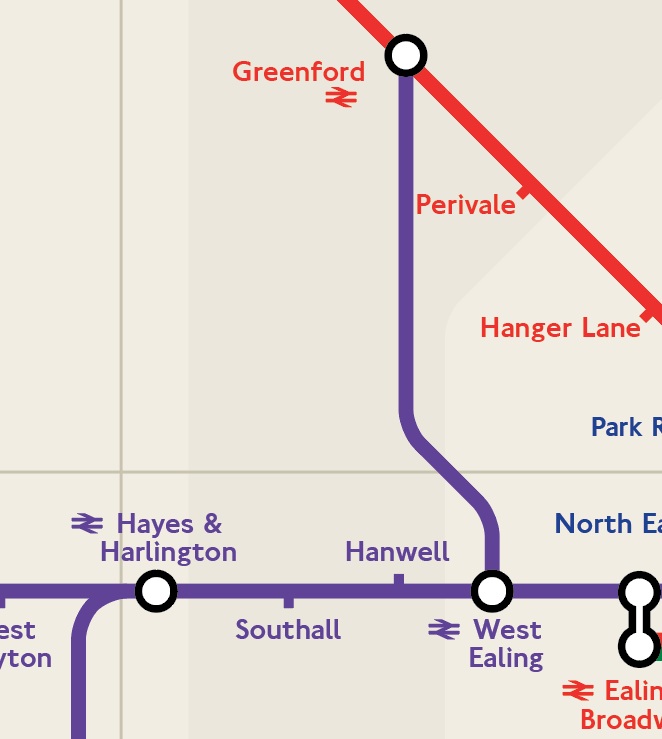 If Romford - Upminster is on the map, why not Greenford - West Ealing where it connects with a Crossrail station to Heathrow ?? I can't seem to find that on the future Elizabeth-lines maps. So it would be like this? But that won't be Elizabeth line, just Railway .. correct? I would have thought the trackspace at barbican would be filled in the create a larger circulating area for interchange as done at Whitechapel. Interchange to where? There is now no longer going to be any direct connection to Crossrail from Barbican. In addition it would be far too costly to realign the westbound road to facilitate this. Romster isn't on the map - nor is any Overground route. The Greenford branch isn't anything to do with TfL, and never was, so it seems inconsistent to include it. I did base it of this map that has those lines. 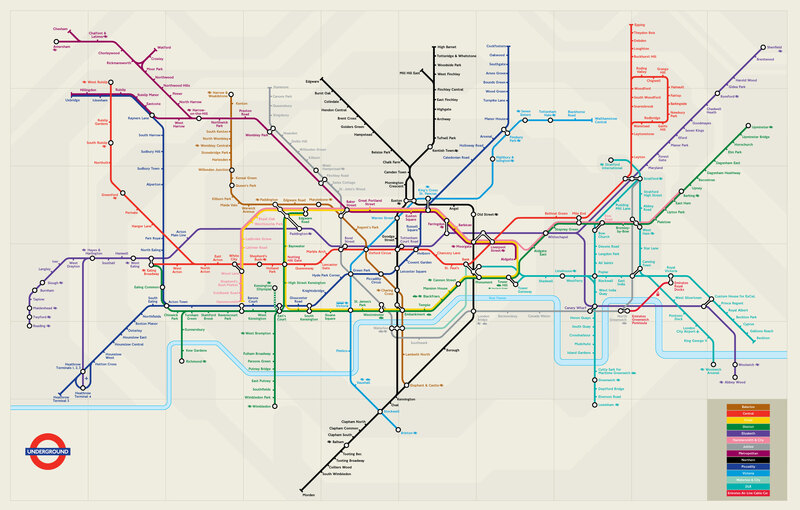 Make Barbican a 'plain' station, not an interchange. there we go .. I really am loving all the feedback I'm getting! Why have you chosen to get rid of the Overground, but keep the dangleway? It was a nice splash of colour IMO. And just a tiny bit, not like the massive overground. Personal preference I guess. Bakerloo line - Willesden Junction and Queens Park have their circles (and associated text) very slightly offset to the right. When it's finished, could we have the PDF (or a very high resolution png/tiff/jpg) as I'd like to get a very large print for my office wall. I have large prints of around a dozen diagrams going back to the original, but this is the first I've actually though would make a good permanent display. With the others it was a matter of not being able to pick any one, but this has a stand-out 'USP'. And yes, there will be a vector PDF available for printing! There is some inconsistency with regards to whether interchange symbols are used when there was an interchange with LO. Queens Park has an interchange sign but Blackhorse Road doesn't. Some NR interchanges have an interchange symbol eg Seven Sisters whereas some like Wembley Central don't.